Property 3: Marina Rubicon - Villa 2 Bedroom - Minutes to the Sea Front, Pool, WIFI. 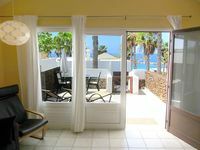 GO WALKING TO THE BEACH, SEE THE ISLAND OF LOBOS FROM THE BED, WALKS TO FLAMINGO ..
Property 8: GO WALKING TO THE BEACH, SEE THE ISLAND OF LOBOS FROM THE BED, WALKS TO FLAMINGO ..
Villa In Prime Location, Sea And Pool Views, Beautiful Mature Gardens, Wi-Fi. Property 12: Villa In Prime Location, Sea And Pool Views, Beautiful Mature Gardens, Wi-Fi. Lovely Villa With Private Pool, Hot Tub,Sea Views and Free WIFI. Property 17: Lovely Villa With Private Pool, Hot Tub,Sea Views and Free WIFI. Detached Secluded Villa has Total Privacy Large Heated Pool and UK TV. Property 18: Detached Secluded Villa has Total Privacy Large Heated Pool and UK TV. Full Privacy, 2 Bed Villa, Heated Pool, parking, Fibre WI-FI. All Sky channels. Property 27: Full Privacy, 2 Bed Villa, Heated Pool, parking, Fibre WI-FI. All Sky channels. #Tastefully decorated, private heated pool, Internet, Spacious ,total privacy. Property 37: #Tastefully decorated, private heated pool, Internet, Spacious ,total privacy. Villa Cara: Beautiful modern villa with gated heated pool & air con. Property 47: Villa Cara: Beautiful modern villa with gated heated pool & air con. Private secluded villa with pool, fully equipped WIFI and U.K. Tv. Property 48: Private secluded villa with pool, fully equipped WIFI and U.K. Tv. The complex is perfectly placed , close to the centre of the resort but not too noisy. The swimming pool are is very nice, lots of loungers and kept very clean. The villa was very pleasant and the terrace is a sun trap. Will certainly return.